Almost 17,000 Greater Cincinnati children suffer from diaper need. Our Second Annual Diaper Drive aims to cover the diaper gap for these children for two and a half days. If just 750 families purchase one box of diapers, we will SMASH our goal! Film a video or take a picture of yourself purchasing a box of diapers from your favorite retailer or on our Amazon Wish List. 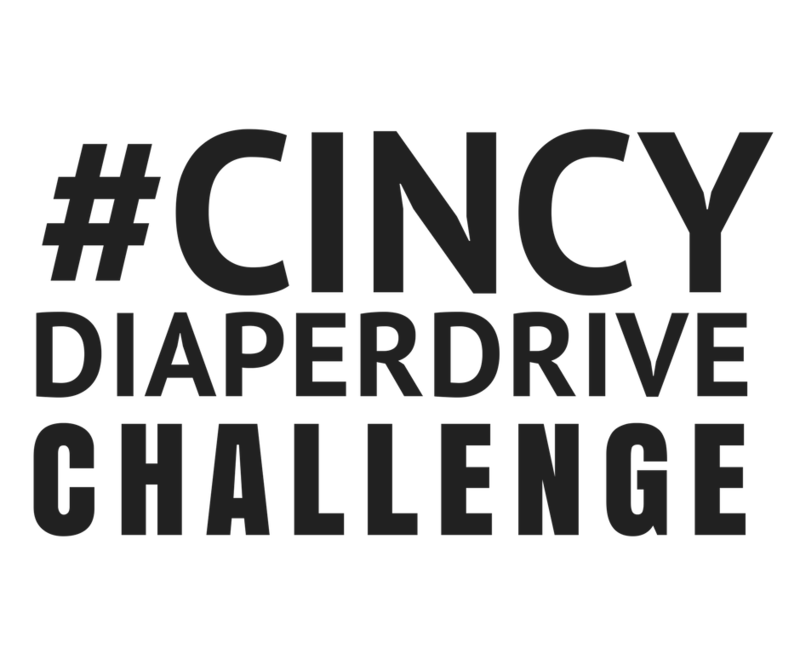 Call out three of your friends on social media and use the hashtag #CincyDiaperDriveChallenge when you post! Host a Diaper Drive Contest! We'll supply the collection bins, all the flyers and graphics you'll need, AND spring for pizza for the winning team. Collect the most diapers and your team will get pizza and salad on us for lunch! 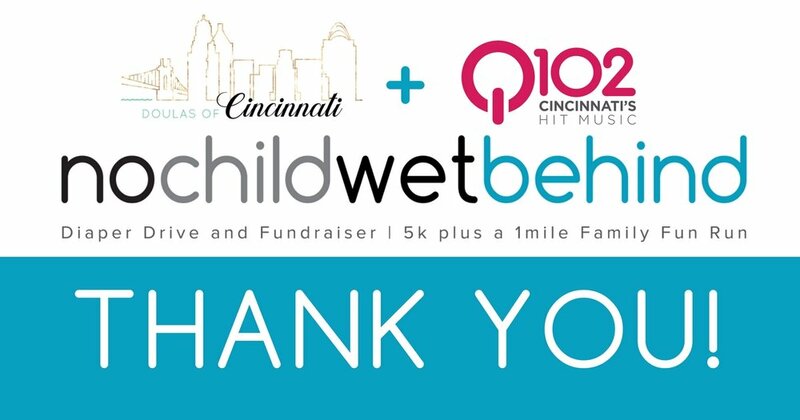 No Child Wet Behind is our community's first 5k & Diaper Drive directly benefiting babies experiencing diaper need in Greater Cincinnati. 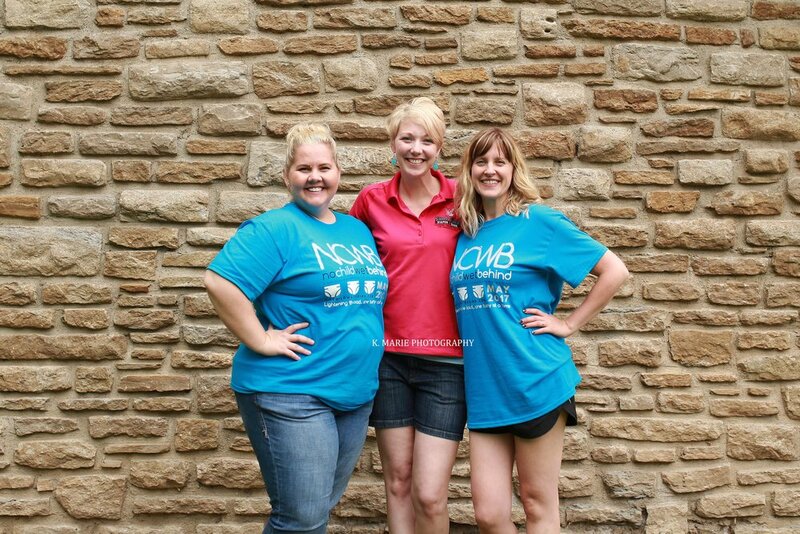 To date NCWB remains Cincinnati's largest diaper drive with over 46,000 diapers donated. Experience a music filled course of your choice and a Family Fun After Party to celebrate your success. T-SHIRT. 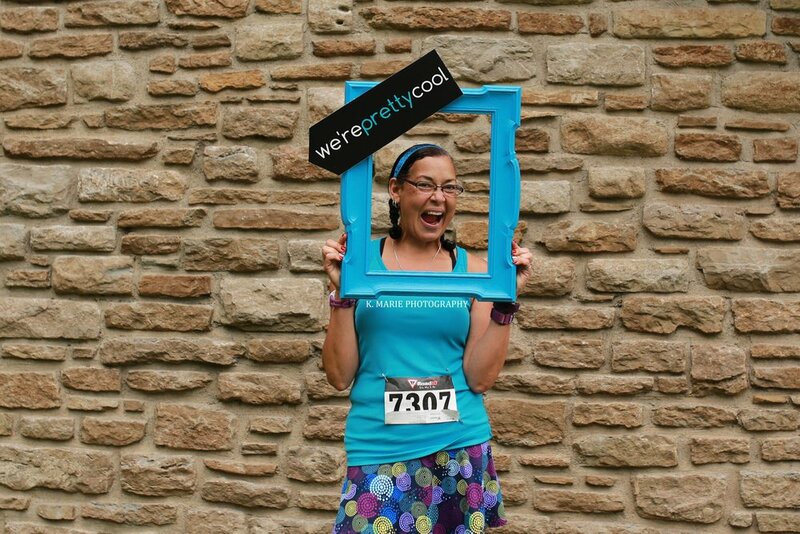 RACE BIB. BRACELET. PLAYLIST. MEDAL. 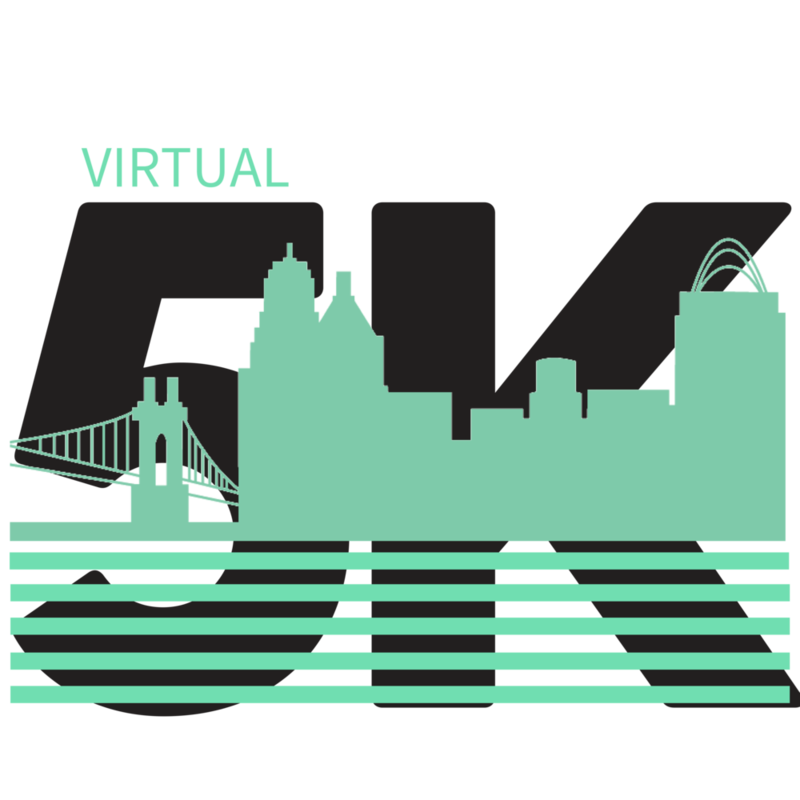 Complete your Virtual 5K. Anytime. Anywhere. RUN. WALK. BIKE. DANCE. SKIP. ROLLER SKATE. WITH YOUR FAMILY AND FRIENDS. 2. Share the Pledge Website with friends, family, co-workers and collect diapers. 3. 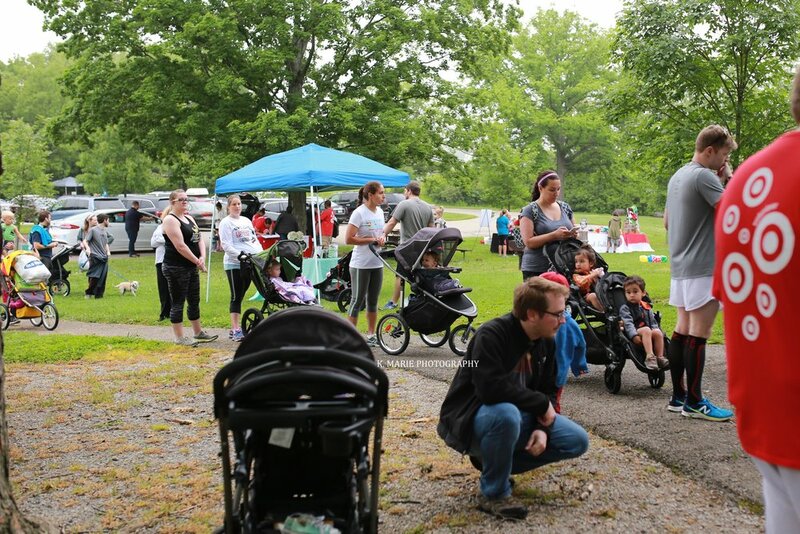 Show up at our Family Fun After Party on Saturday May 12 with your diapers. 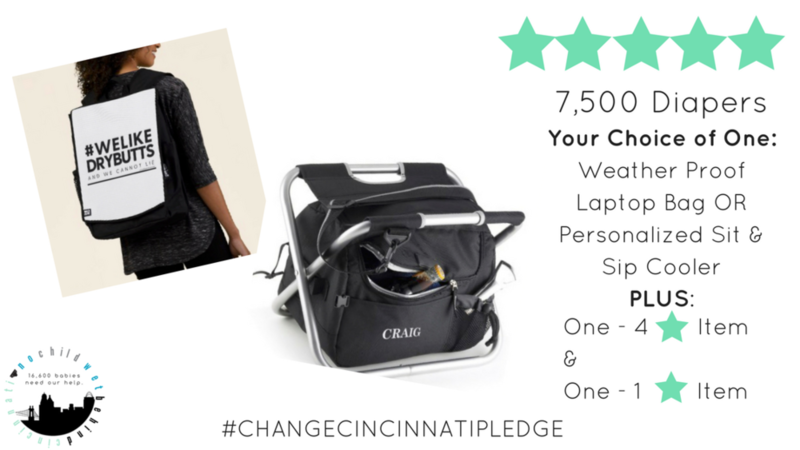 All diapers donated through No Child Wet Behind Cincinnati Wishlist must include the name of the person taking the #CHANGECINCINNATIPLEDGE. Any Wishlist donations that DO NOT contain the name of the pledger WILL NOT be counted towards the pledger's final total. 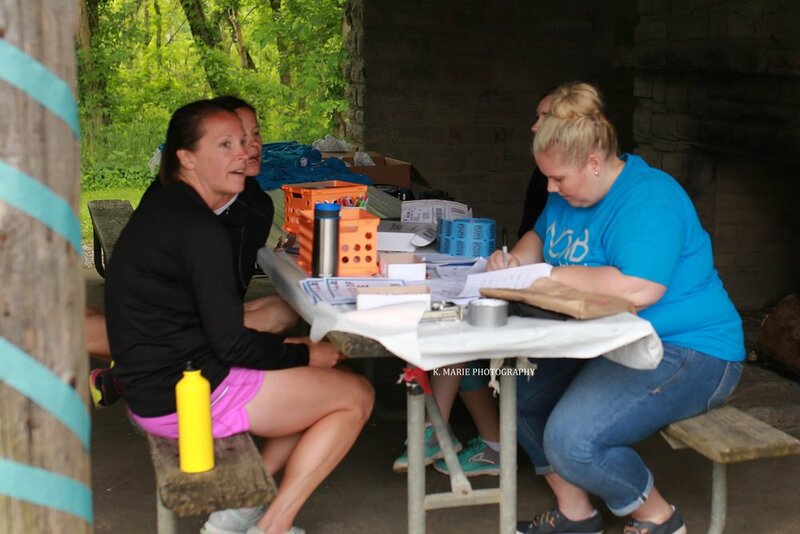 Pledgers must be present at the 2018 NCWB on Saturday May 12, 2018 to turn in final diapers towards the official count and place swag order. 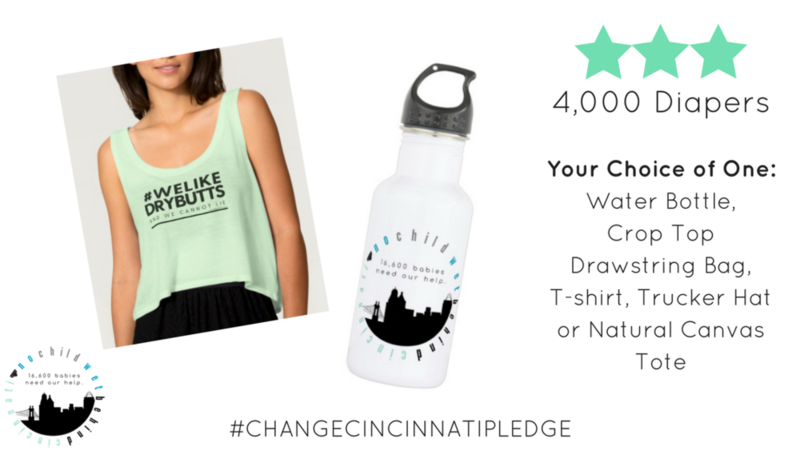 Pledge Swag may vary slightly in color or design pending availability of supplier at the time of the After Party. Pledge Swag will arrive separately within 3-4 weeks of the After Party. 1 in 3 American families lack a sufficient amount of diapers to keep their child clean, dry & healthy. The numbers are staggering, and they stack up quick. The average child under age 3 uses 6-10 diapers per day, costing families nearly $100 each month per child according to the National Diaper Bank. Working families often rely on childcare facilities, many of which require parents to provide a day's worth of disposable diapers for their child. As members of families with at least one working parent, 31% of infants & toddlers still live in a low-income family. Almost half of Cincinnati children live in poverty. Currently, there are no government assistance programs that directly fund diapers - a basic need for all infants and toddlers - despite Medicaid providing coverage for 1/3 of births in the USA each year. When children don't have access to diapers they may be left in soiled diapers for longer than what is appropriate (and sometimes, for days at a time) posing risks their health and well being, like diaper rash, urinary tract and staph infections. When enough diapers aren't available for the day, children can't participate in early childhood programs, which can impact a parent or caregiver's ability to go to work. Diaper Need impacts the physical, mental, emotional and financial well being of everyone. 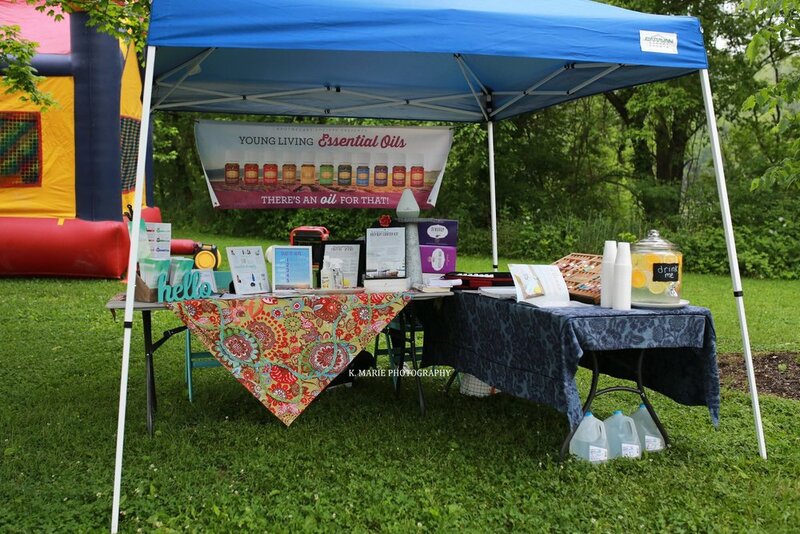 Doulas of Cincinnati partnered with No Child Wet Behind 501c3, to host Cincinnati's inaugural No Child Wet Behind 5K | Family 1 Mile & Diaper Drive Fundraiser in 2017. 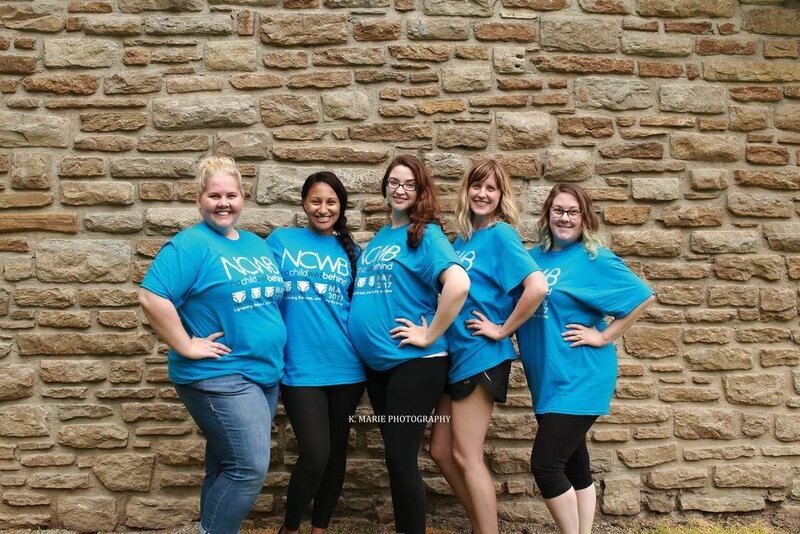 With the help and generosity of Greater Cincinnati, Doulas of Cincinnati was able to collect 46,434 diapers to help babies right here in our community stay clean, dry, and healthy. Businesses throughout our community joined our cause to host No Child Wet Behind diaper collection boxes. They rallied their employees, customers and community to donate diapers at their location. 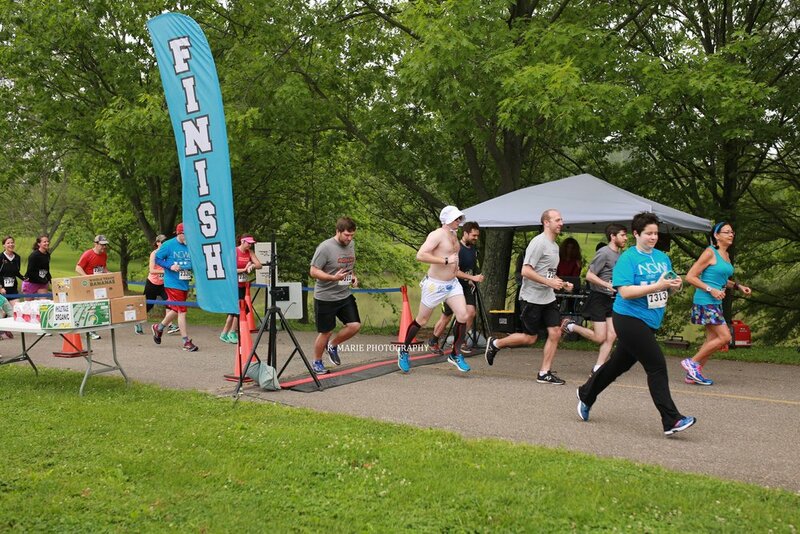 5K runners took the Run for One Pledge, collecting diapers from friends and family to deliver the day of the race. 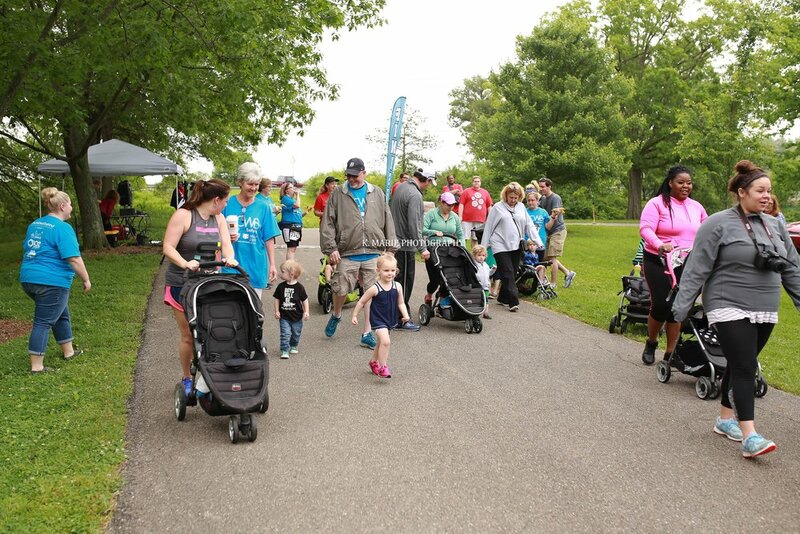 Family 1 Mile participants joined in the fun bringing diapers and enjoying the scenic walk in Winton Woods. The rain didn't keep our runners and walkers away. 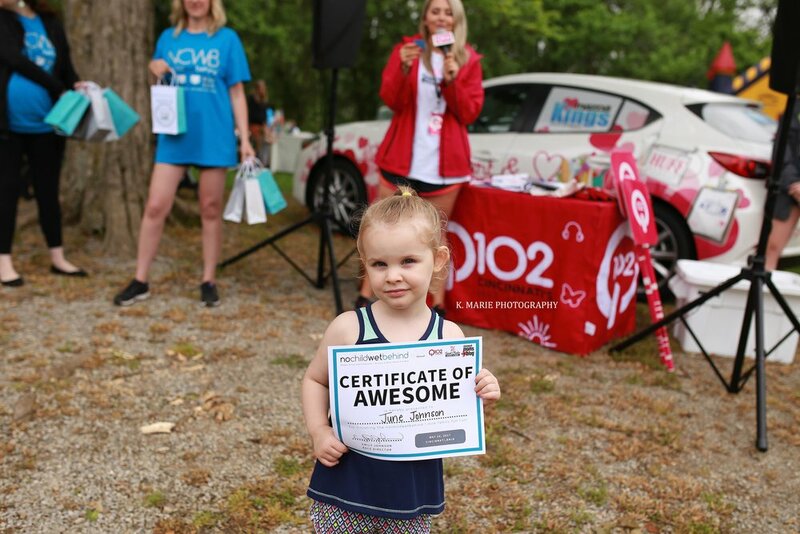 Music from Presenting Sponsor Q102 kept the party going while everyone enjoyed the Vendor Area meeting with local businesses. Support from our community volunteers and corporate volunteers from Target made the day possible. 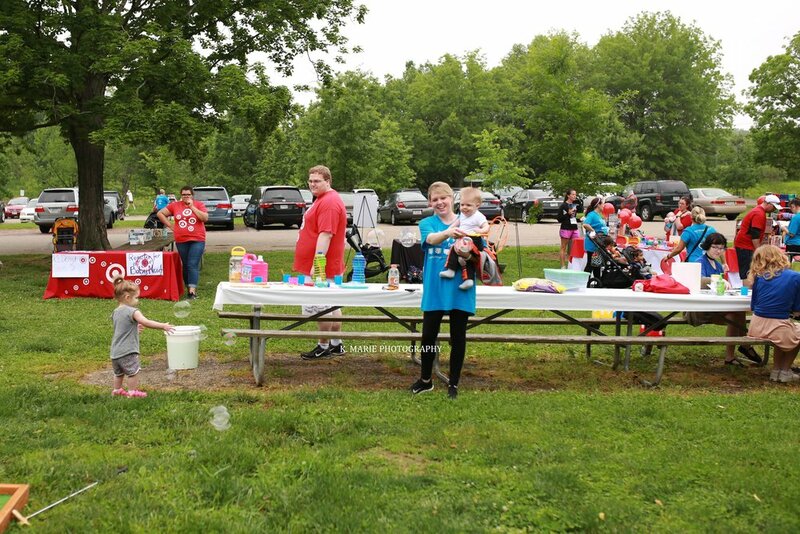 Activities included Photo Booth, kids games, bounce house, face painting, and of course cotton candy! 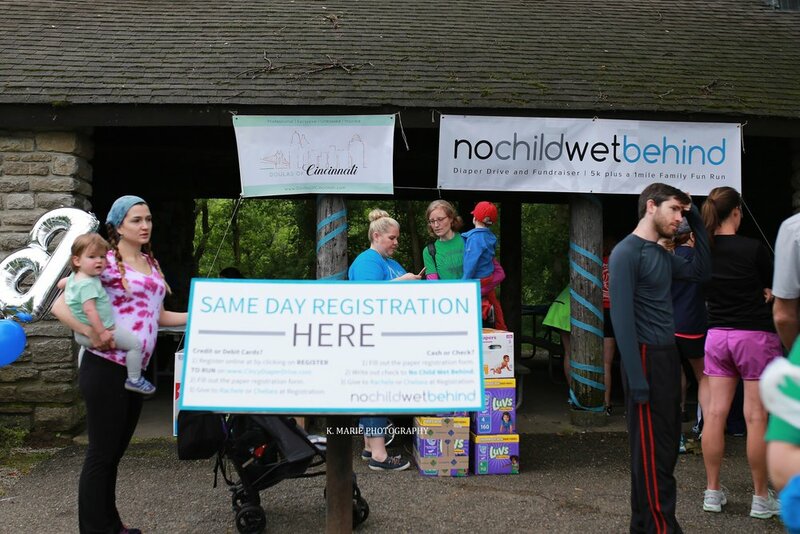 No Child Wet Behind Cincinnati 2017 is the largest Greater Cincinnati Diaper Drive to date, which benefits families experiencing diaper need in Southwest Ohio, Northern Kentucky and Southeast Indiana. All diapers collected are DIRECTlY DONATED to help babies in Greater Cincinnati! Special Thanks to our amazing volunteers from Target! Shout out to our wonderful Vendors! Learn More about our beneficiary serving Ohio, Northern Kentucky & SE Indiana.